Artists and makers across Nottinghamshire will again be opening their studios to the public throughout May and early June, supported by volunteer led, not-for-profit initiative Open Studios Notts for the seventh year running. 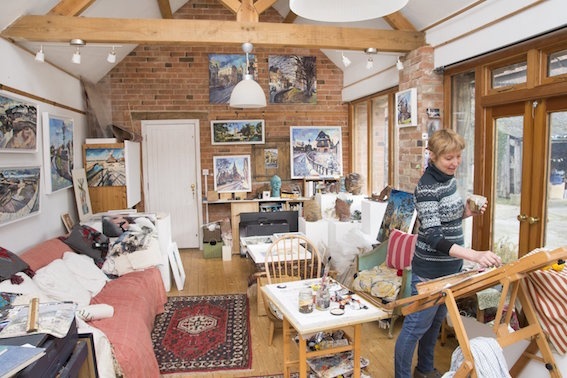 This year, creatives from around Southwell will join their Upton colleagues in a trail of open studios and venues on the late May bank holiday weekend (26th to 28th May). Each year more artists choose to come on board and in 2018 over 250 artists will be participating at 80 venues across the county. From 27th April to 8th June photographic exhibitions at Retford, Arnold and Beeston libraries, courtesy of Inspire, will show a number of artists and makers at work in their studios. The Open Studios Notts brochure is available in libraries and other outlets around the county.